Last year, Britain battled against freezing temperatures and heavy snow for the first time in several years when the Beast from the East took its icy toll on the country. And weather forecasters are predicting the UK could be hit by a new Beast from the East, with parts of Europe already facing significant chills and heavy snowfall. Not only are these weather predictions a warning of what’s to potentially come, but they’re a useful reminder for businesses to be prepared. Now’s the time to make sure operations are winter-proofed and this includes having the right forklift attachments. But here’s the thing, knowing if your attachments will withstand temperatures of up to -15°C, freezing ice, black ice and mountains of snow, isn’t always obvious. Making sure your yard, car park or access roads are constantly kept clear of ice and snow when we’re in the deepest darkest depths of winter is an on-going task. And it’s a task that gets more difficult to stay on top of when temperatures plummet or it snows for several days in a row. Shifting fresh and compacted snow and ice can take up a lot of time and manpower. 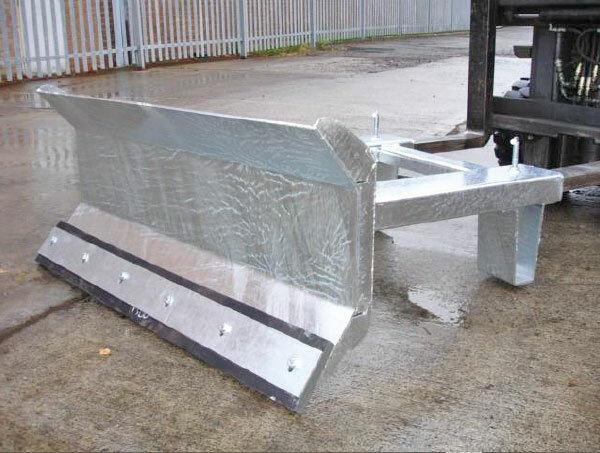 But if you choose a snow plough attachment that’s available in different blade widths, you’ll have a much greater chance of keeping everything clear and spend less time doing so too. Check out – our fork-mounted snow plough, which is available in three different blade widths – 1,250mm (ISP-1), 1,500mm (ISP-2) and 1,800mm (ISP-3). We all need a little help sometimes, particularly when it comes to shifting layers of ice and piles of snow in sub temperatures and biting winds. And investing in a forklift ice and snow attachment with added oomph will most certainly help, especially one with hydraulic capabilities. 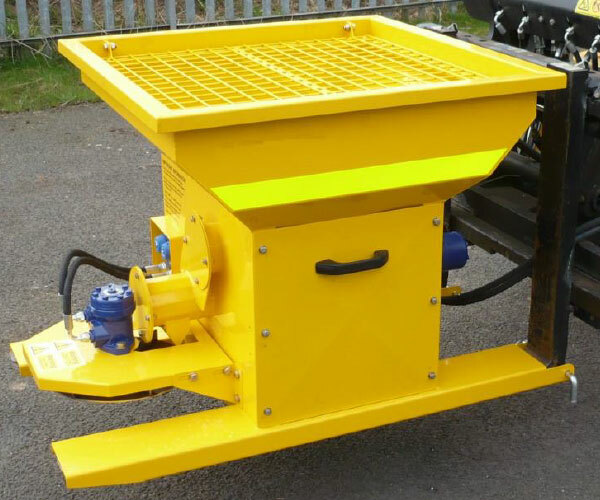 Take our hydraulic salt spreader/gritter, for instance, it operates by being hydraulically-driven from a forklift’s third service valve or side shift valve. You can see it in action right here. 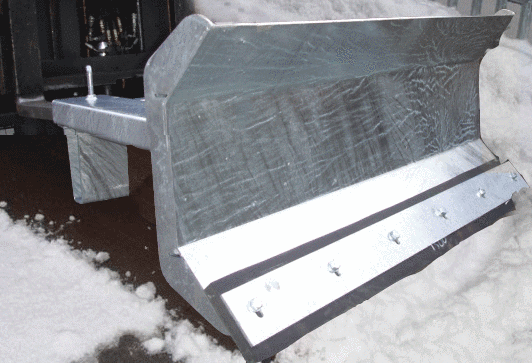 Ideally, you want your snow and ice forklift attachments to not just see you through this winter, but multiple winters to come, regardless of how harsh they get. And investing in high quality equipment that’s made from quality materials will enable you to achieve this goal. But there’s one detail in particular that can make all the difference… the finish. Look for attachments that incorporate parts that have either been galvanised or are made from stainless steel, as being constantly exposed to damp/wet conditions, mixed with salty grit, is the perfect recipe for corrosion. Hopefully, these pointers will set you on the right path to beating the elements when the next ‘beast’ does strike, but if you have any queries or want to find out more about our forklift ice and snow attachments, you can reach us on 0113 277 1222 or sales@invicta-attachments.co.uk.